Chalk paint has taken the painting world by storm the last few years. 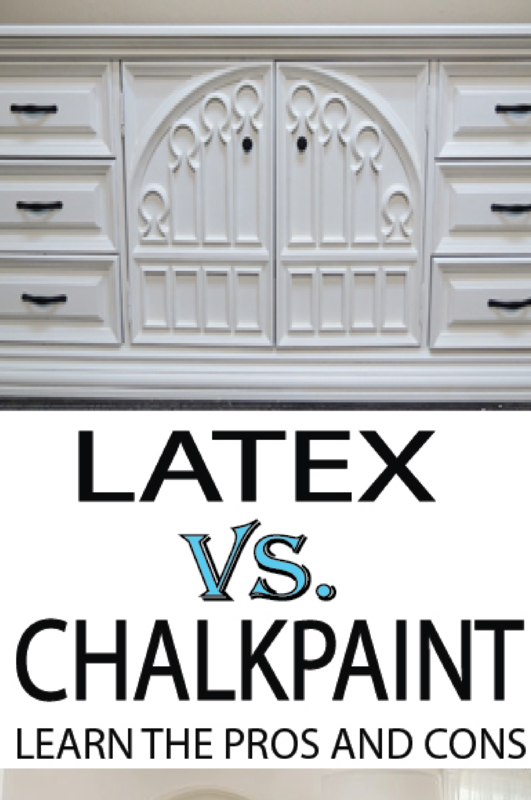 It is all the rage to use chalk paint, however for decades latex paint has been the go to paint. Which one will be more durable, and give you the look you want? 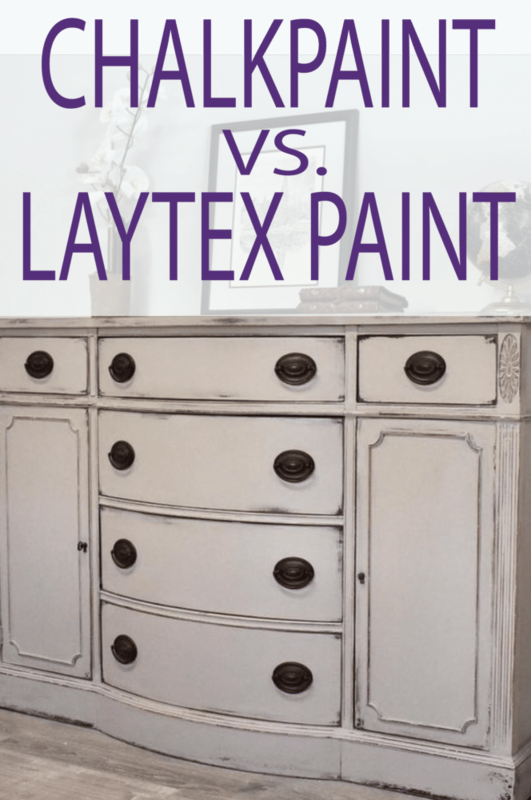 If you are debating whether or not to use chalk paint or regular latex paint, here are some of the highlights of the pros and cons of both to help you decide. Chalk paint is basically a self primer that adheres well to most surfaces. You don’t have to worry about the extra expense of buying primer and you save time skipping that step. Latex paint on the other hand, needs a primer as a first coat in order to adhere well to most surfaces. Chalk paint is about as durable as latex paint. They are both water based, so they will both react roughly the same to water stains, spills, nicks, etc. However, the finish coat is what protects your furniture. 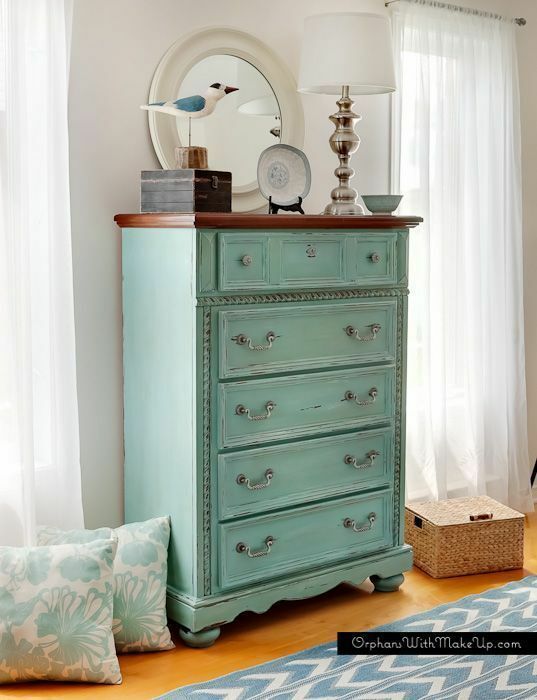 After you apply chalk paint, you will need to seal the finish with wax. The wax is very simple to apply and protects your piece just as well, if not more, than a clear finish you would apply to latex. The wax finish will be a little more expensive than the latex clear coat, but will usually last longer. 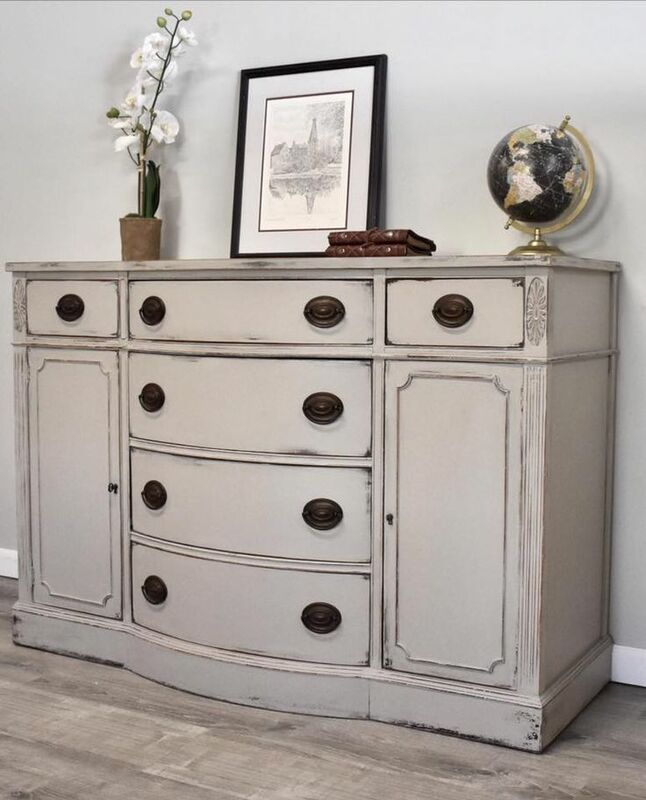 If you are going for a distressed look or antiqued finish, chalk paint works really well for that. It is perfect for a farmhouse or cottage style room. You can distress with latex too, but chalk paint has a matte finish that is just a little more conducive to creating the aged look. If you want a modern sleek look go with latex. 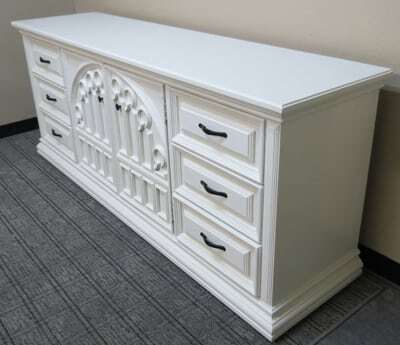 The finish is more shiny and it has a smoother look like this white dresser. Chalkpaint used to be a hard item to find, but now it sold at every hardware store, and even walmart sells it. It is more expensive than latex by the quart, however chalk paint requires less paint, due to its opaqueness. 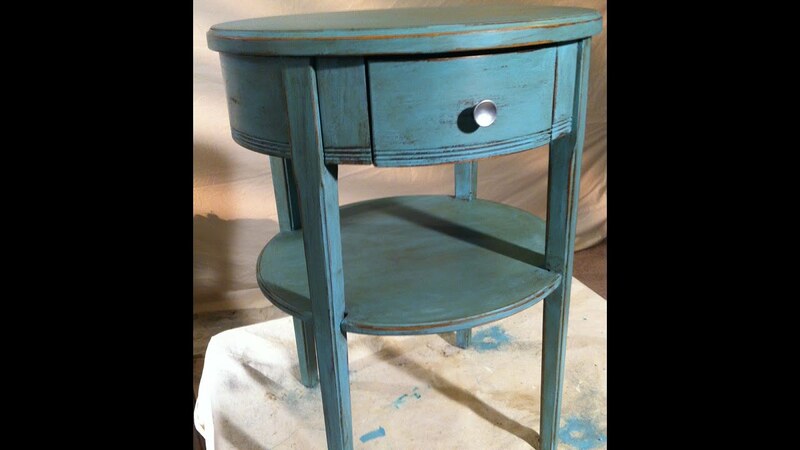 To save money on chalk paint read this article: DIY Furniture Paint Recipe. There are entire swatch books full of colors latex paint comes in, chalk paint on the other hand comes in about a dozen options. If you have never used chalk paint, start on something small such as a side table, or a shelf. See if you enjoy the look and process before tackling your kitchen cabinets or table.